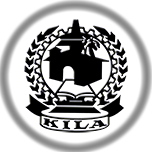 KILA Headquarters is situated at Mulamkunnathukavu, 11 km north of Thrissur city on the Thrissur- Shornur Road in a picturesque 20 – acre campus. The serene and salubrious atmosphere of the campus amidst the scenic landscape of the surrounding hills provides a congenial atmosphere for learning. The nearest International airport, Cochin (Nedeumbaserry) is 65 kms away from KILA. The participants arriving by train can alight at Thrissur railway station. Direct taxi/auto rickshaw and bus services are available to reach KILA campus.